Hi friends! Shahi paneer is a popular North Indian dish eaten with Indian breads like roti or naan. 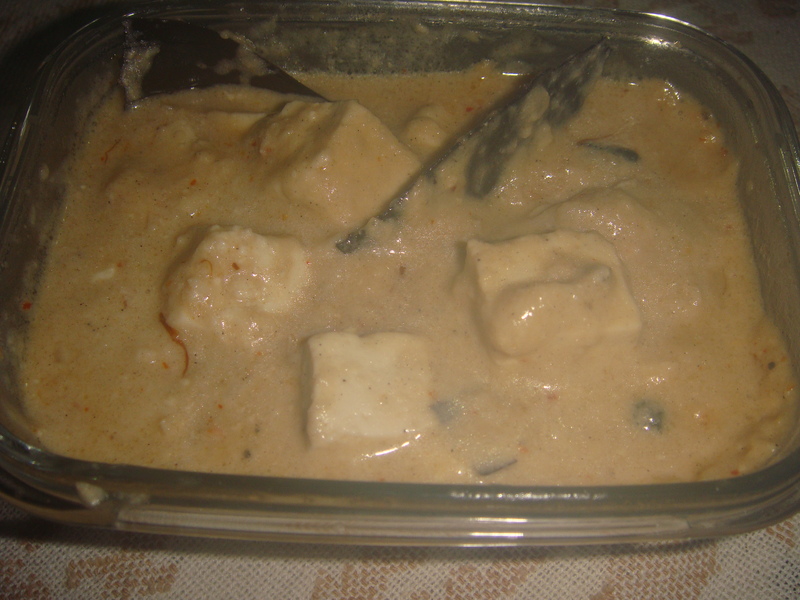 Shahi paneer is preparation of paneer/cottage cheese pieces in a thick, creamy and spicy gravy. In a pressure cooker put half cup of water, add onion pieces. Cook on high flame, the moment pressure is formed, switch off the stove. Allow to cool to room temperature. Grind to a fine paste with green chilies. Cut the paneer into small square cubes, keep aside. In a heavy bottom pan/ kadai / wok heat the oil, add the bay leaf, cinnamon, cloves, peppercorns, and sauté till fragrant. To the step 3 seasoning add the green chillies and boiled onion paste and sauté for four to five minutes on low flame, it should not change colour. Add the grated ginger and mashed garlic and continue to sauté for a minute. Add the cashew nut powder and the yogurt and sauté till the masala gets thicker. Stir in the cream, saffron and garam masala powder and salt. Add the paneer / cottage cheese pieces and mix gently. Sprinkle green cardamom powder and serve hot with any Indian bread of your choice ! Note: Spinach Raita and Panchratan dal / lentil are good accompaniments.